Arsenal supporter Tassal ‘Tass’ Rushan was no different and he’d come to accept the harsh reality that a career as a professional football player was out of his reach. So the Londoner turned to virtual reality to realize his dream. Playing FIFA — a virtual football game — Tass represented his boyhood club at the ePremier League tournament in London last week, where he went up against other Xbox One and PlayStation gamers from the other 19 English Premier League (EPL) clubs. 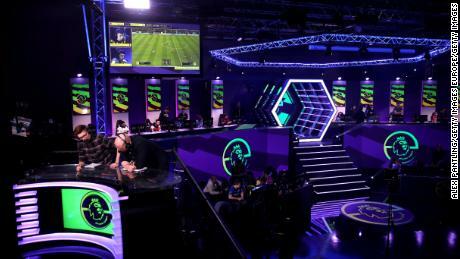 Broadcast live on Sky Sports, the very best UK-based players faced off in front of an often raucous studio audience in a two-day event marking the Premier League’s first involvement in the lucrative world of esports. “I assumed the only way to represent them was to be amazing at football,” Tass told CNN Sport from his family home in West London. At 24, Tass was one of the oldest player at the finals — where the youngest participant was just 16. “I’m one of the last OGs from my era,” reflected Tass. “It makes me feel a bit old thinking about it but I’m quite proud that I’ve been able to do it year after year, always being at the top level. With maturity though comes added responsibility. Spending time with Tass throughout the tournament, it’s obvious that he holds court within the FIFA community, clearly looked up to by the younger players and by his growing social media following. His YouTube videos alone are watched by thousands of people and he can boast over 100,000 followers on Twitter. Tass makes a living in gaming through both his YouTube channel and a salary he receives from the esports organization he represents, FaZe Clan. “I’m proud if I am seen as a role model. I always try to not make mistakes. But there comes times where things go wrong, or certain situations are handled incorrectly,” he says. Role models are important to Tass, especially when it comes to the sport he loves. Like many of his generation, former star Thierry Henry was the sole reason he fell in love with football and why he started supporting his beloved Arsenal. The striker spearheaded the “The Invincibles” — of the most successful teams in history that went an entire English Premier League season unbeaten — and had a swagger about him that he backed up with eye-watering skill. Watching how the Frenchman conducted himself both on and off the pitch serves as constant inspiration for Tass’ FIFA career. “It was an aura he had on me and I’m sure a lot of other Arsenal fans,” said Tass, who has a framed Henry shirt hanging next to his gaming station. These are certainly characteristics that Tass has adopted. The gamer approaches his own matches with a similar confident facade and celebrates his goals with a cool “Henry-esque” attitude. Like many of the other competitors in the Gfinity Arena, Tass’ career started by playing casually with friends from school. Despite playing thousands of games since, the Londoner can pinpoint a time when his talent started to emerge. “It was one of my birthdays, I was very young, and we went and played football,” he said. “We came back to my place and we played a FIFA tournament. We obviously only had two controllers on the normal Xbox. “My personal memory was that I was winning every game. I remember my mum came in to give everyone something to eat and I was still sitting playing and she assumed that I wasn’t sharing. Before convincing his parents to support his career as a professional FIFA player, Tass first had to convince himself that such a pathway existed and that he was good enough to make it. After years of playing in online lobbies, he realized he was much better than everyone else and that a future in the esports world was feasible. As each annual edition of FIFA was released, Tass continued to develop his skills and began to build a reputation as one of the best players on the scene. He believes winning the FIFA 17 Regional title in Paris, during the first year of competitive FIFA, was the turning point and remains the highlight of his career. “I saw that everything I’d done previously for the last however many years was finally worth it at that point,” he recalls, saying he was one of the first casuals to step into the professional world. READ: What next for football’s ‘weird’ social media craze? He believes those initial hours playing the game built the foundations for his current professional status and that someone picking up the controller for the first time will take years to reach his level — no matter how much they practice. “I’d say it’s all the years and hours playing when I was a lot younger that have actually helped somehow, even though FIFA changes every year,” he confessed. 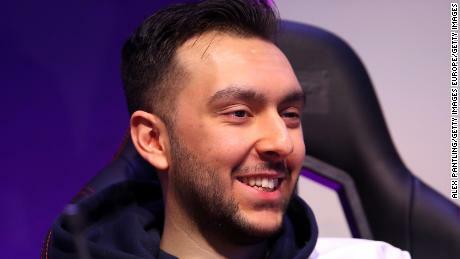 His past experiences helped Tass reach the Xbox One semifinals at the ePL finals, before he was defeated by Fulham representative Diogo ‘SCP Diogo’ Mendes in a tense match up. Despite the disappointment, Tass was able to see the bigger picture and reflect on playing for his boyhood club. “I’m happy with the way I played but it just wasn’t meant to be. I got to represent my childhood club and I think I did them proud,” he said. Each of the 20 Premier League clubs hosted live playoff events to find their best Xbox One and PlayStation 4 players, who were then entered into ePL finals at the Gfinity Arena, London. 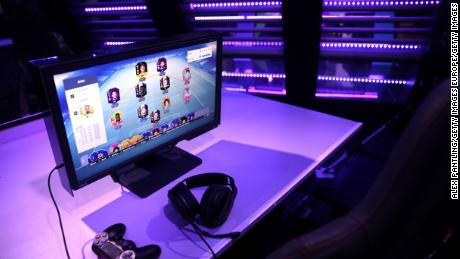 The representatives on each console were subsequently split into four groups of five players, with the top two advancing to the knockout rounds. The two console final winners then faced off in a two-legged Grand Final to decide the overall champion. 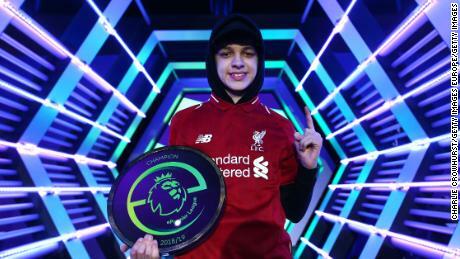 Despite not winning the Premier League title in 29 years, Liverpool was crowned the first-ever ePremier League champion, as Xbox One player Donovan ‘F2Tekkz’ Hunt beat Manchester United’s PlayStation 4 star Kyle ‘KyleLeese_’ Leese. The 17-year-old has become one of the best FIFA players in the world and went into the tournament as heavy favorite. 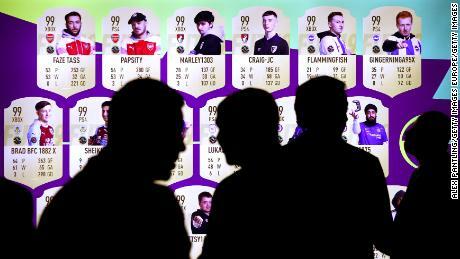 Will Brass, Head of Sales and Marketing at the Premier League, was excited by the opportunity for one of the world’s most successful leagues to delve into the world of FIFA — capitalizing on its long-term partnership the game’s publisher EA Sports. Encouragingly, all 20 top-flight clubs agreed to be involved in last week’s event, giving everyone a chance to represent their own team. “We think there is something about the opportunity for fans to represent their teams, some of the most loved clubs in the world, in an official Premier League competition which has been really compelling and captivating for thousands of gamers,” Brass told CNN Sport from the Gfinity Arena. He remained tight-lipped on whether the Premier League would continue to invest into esports in the future but believes it provides an opportunity to grow the league’s already global audience. 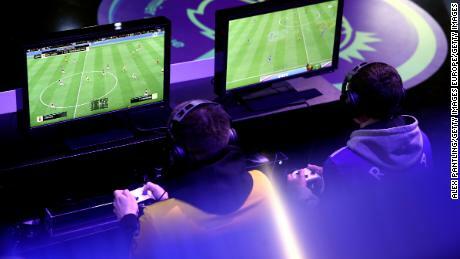 “For a lot of fans, it may be that their first journey into the world of the Premier League, particularly in international territories, comes via the video game,” he said. Watch the video at the top of the page to see Tassal ‘Tass’ Rushan’s journey through the ePremier League finals.